Notes: Data as of April 30 for both years. 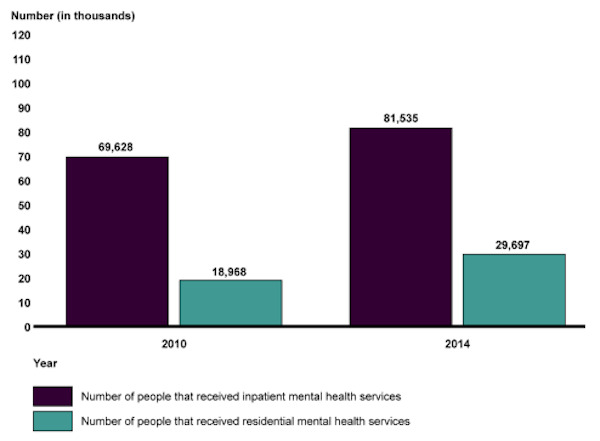 Data Source: Substance Abuse and Mental Health Services Administration’s National Mental Health Services Survey, 2010 and 2014. This entry was posted in Medicine and Society Data Watch on September 20, 2017 by Genevra Pittman.